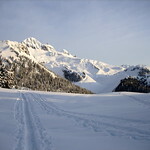 Description: For winter fun, the trail up to Red Heather and Elfin Lakes has something for everyone. 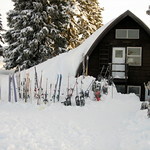 It’s close to Vancouver but removed from the crowded North Shore trails; it is perfect for snowshoeing and ski touring; the Red Heather hut makes for a great day hike destination; and Elfin Lakes cabin is an excellent overnight shelter for those looking to spend a few days in the backcountry. 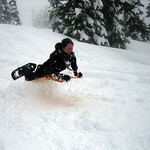 The highlight of all of our trips to Red Heather has been sledding through knee-deep snow. I highly recommend packing crazy carpets. The trail from the parking lot to the Red Heather is wide and gently sloped, which makes for good sliding on the way down. In addition, the Red Heather hut is in a meadow surrounded with sloping hills that are perfect for tobogganing, if you don’t mind creating your own bobsled runs. It’s tiring work, but rewarding. After playing in the snow, you can warm up and dry off in the hut, which has a wood stove. If you’re feeling adventurous and want to spend the night, you can continue past Red Heather to Elfin Lakes where there is a cabin that sleeps 30. It costs $15/person/night and there are no reservations, so head up early if you’re going on a popular weekend. When we went up in March, we arrived at the cabin around 2 PM and were one of the first groups. By the evening, every bunk was taken. The hut is heated and has a cooking area on the bottom floor and wooden bunk beds on the top floor. You only need to bring a thermarest and sleeping bag, but if you want a real winter camping experience you can pitch a tent outdoors or build a snow cave. 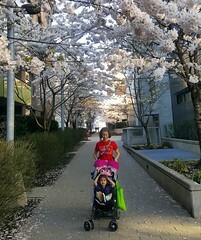 More info and trail reports on the BC Parks website. The hike up to Red Heather is in the trees and doesn’t have many viewpoints, but it is relatively safe when the avalanche conditions are high. 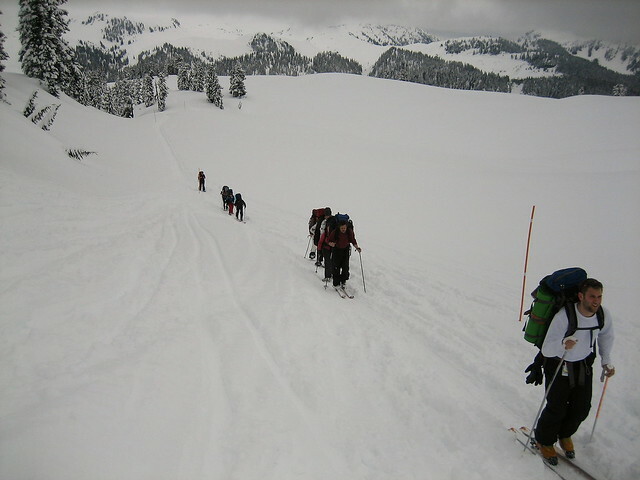 If you continue on to Elfin Lakes, you’ll end up walking above the treeline along Paul Ridge, which has spectacular views of the surrounding mountains but has a higher risk of avalanches. 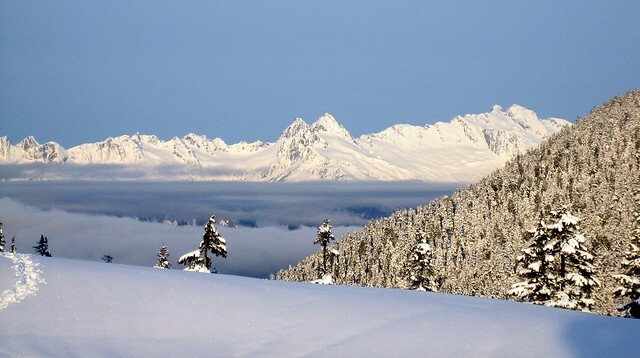 Make sure you check the Sea-to-Sky avalanche conditions before heading up. 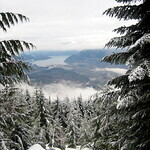 More trail descriptions at Trail Peak, Vancouver Trails, and Snowshoe Magazine. Transportation: The trail starts in Squamish, about 90 minutes from Vancouver. You drive past Quest University along Garibaldi Park Road to the Diamond Head Trail parking lot. The road is routinely plowed, but can be hard to drive after a snowfall. Four-wheel drive is recommended. Directions from Google Maps. Amazing choice how to spend a few days away from big city life during christmas holiday. Breath fresh air, do winter sports, try ski touring, see a great view of mountains around, stay in a small wooden house covered with snow and sleep in a sleeping bag. Perfect inspiration for the end of the 2012 or the beginning of 2013.